The Korean economy has achieved remarkable growth during the last 6 decades. At the time of Korea’s independence from Japan in 1945, Korea was one of the poorest countries in the world. Moreover, the division of the Korean peninsula and the Korean War in 1950 has made the South Korean economy in miserable condition. In many senses, Korea fell in the poverty trap where the vicious cycle of poverty and under-development had re-enforced each other. However, the growth performance of the Korean economy after the end of the war in 1953 was truly remarkable, and many people call it as the “Miracle of the Han River”. I am very glad to have an opportunity to deliver the progress Korea has made on the internet. I hope you would enjoy my lectures as well as all the additional services this course provides. It would be my great pleasure if you could enhance your understanding about Korea and development economics in general by the time you finish the course. The goal of this course is to let the learners to understand the economic development experience of Korea in global perspective. Those who are interested in development economics will be able to enhance their knowledge about economic development and East Asian economies. Eventually, the instructor wishes to provide meaningful policy implications to developing countries who try to follow the Korean experience. Knowledge on Principles of Economics is needed. Any text book on Principles of Economics would be fine. Knowledge on International Economics would be recommended. Please note that this lecture is only available as an audit course. Therefore, this course does not provide certificate or any learning support. 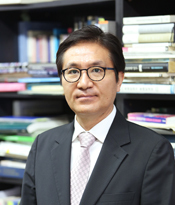 Professor Lee Doo won is a professor of economics at Yonsei University, Seoul, Korea. He graduated from Yonsei University in 1987, and has acquired Ph.D. in economics at Northwestern University in 1992. His area of specialty lies in international economics, development economics, and East Asian economies. He has been teaching the Korean Economic Development for more than 20 years.